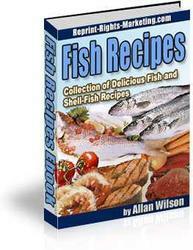 many people love to fish the surf, even though it is among the most difficult and challenging fishing venues. There are actually three places to fish the surf: beaches, which are open stretches of sand and/or gravel; groins, which are man-made fingers of rock, wood, metal, or concrete that jut from the beach into the water; and jetties, which are groins that extend into the ocean from both sides of a tributary. (Groins are frequently referred to as jetties as well.) We'll look at each type individually. Although a beach may look flat and featureless, the bottom beneath the surface usually isn't. If you walk along a beach at dead low tide, you'll see sandbars, holes, humps, and channels, often in a seemingly random pattern. Gamefish such as striped bass, bluefish, and redfish (red drum) use these bottom structures (when they're covered with water) to prey on forage. As the waves wash up on shore, and as the tidal currentswhich always move up or down the beachcontribute to the turbulence, baitfish and other forage such as mollusks and crustaceans get caught in the flows. 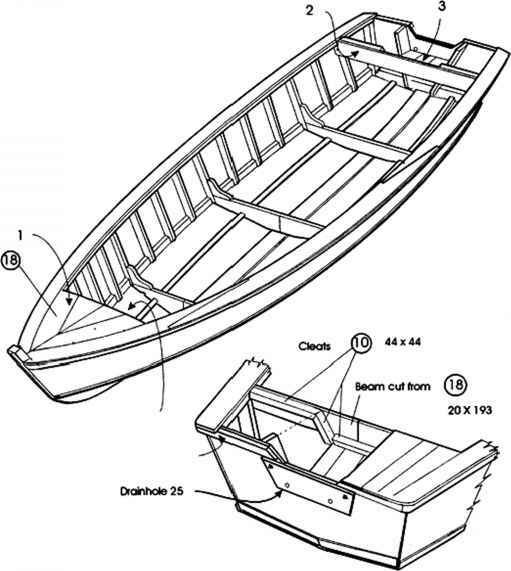 Gamefish will use the deeper sections, such as a cut (a channel perpendicular to the beach between two sandbars) or a slough (a channel that runs parallel to the beach, close to shore) to get to the forage without being tossed around by the turbulent waters. A surf fisherman should always check a beach at low tide to find these structures. 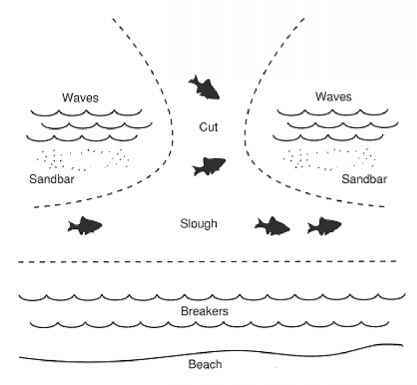 Fish often frequent a cut between two sandbars, which you can recognize by its lack of waves; and a slough, which is a deep section just off the beach behind the breakers.